On average, a business pays £21,000 to remedy a cyberattack. 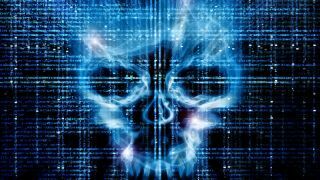 UK businesses have suffered a dizzying number of cyberattacks in 2018, but most of them fell on the backs of small businesses. Two thirds of companies with 10 – 49 employees have suffered some form of cyberattack in the past year. That amounts to roughly 130,000 businesses. On average, such an event set them back £65 grand. Breaking the figure down, most of it goes for salvaging damaged assets, paying financial penalties and bearing the brunt of business downtime. All in all, these 130,000 businesses have lost £13.6 billion in the last year alone – on cyberattacks. These numbers came courtesy of Beaming’s annual survey, which says that phishing is still the biggest threat (25 per cent of all cybercrime events). Ransomware hits hardest on the wallet. Each victim has had to pay, on average, £21,000. Beaming also says that it’s spotting a disheartening trend – there have never been this many small businesses succumbing to cyberattacks since it started measuring it. Last year, as we said, it was almost two thirds (63 per cent). The year before – 47 per cent, and the year before – 55 per cent. “Criminals don’t care how big your business is, everyone is a potential victim and the cost of an attack can be devastating,” said Sonia Blizzard, managing director of Beaming.